American Express (NYSE: AXP) and Marriott International, Inc. (NASDAQ: MAR) today announced the details of the new value-rich Starwood Preferred Guest® American Express Luxury Card and the refreshed Starwood Preferred Guest® Consumer and Business Credit Cards. Debuting in August 2018 alongside Marriott International’s newly unified loyalty programs, which will offer one set of benefits for all members, the Cards will offer travelers and businesses more travel benefits and ways to earn points that can be used across nearly 6,500 hotels in 127 countries and territories, across 29 brands, as well as across the expanded Momentsplatform. Additionally, on August 1, 2018, Starpoint balances in SPG loyalty member accounts will convert to points within Marriott International’s loyalty program at a 1:3 ratio, and the loyalty program will be making corresponding changes to the number of points required for redemptions. Automatic Silver Elite Status; and the ability to earn Gold Elite Status after spending $30,000 on the Card in a calendar year. Note: effective January 1, 2019, Card Members will earn Gold Elite Status after spending $35,000 on the Card in a calendar year. 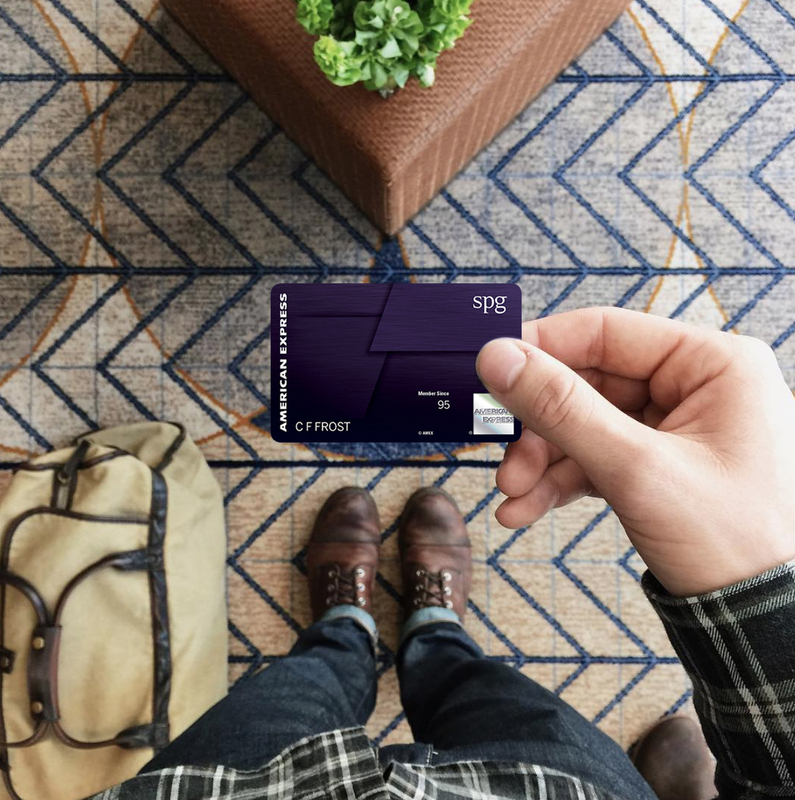 Also in August, the $95 Starwood Preferred Guest® Business Credit Card from American Express* will provide small business owners with even more ways to earn points when using their account to pay for common business expenses such as eligible dining, gas, wireless bills and shipping costs. To help run and grow their business, Card Members will also have access to business tools and services offered by American Express including Spend ManagerSM, Connect to Quickbooks®$0 annual fee on Employee Cards and no foreign transaction fees. Automatic Silver Elite Status; and the ability to earn Gold Elite Status after $30,000 in annual spend on the Card. Note: effective January 1, 2019, Card Members will earn Gold Elite Status after spending $35,000 on the Card in a calendar year. All three of the Starwood Preferred Guest® Credit Cards from American Express are linked to Marriott’s award-winning guest-loyalty programs, Marriott Rewards®, which includes The Ritz-Carlton Rewards®, and Starwood Preferred Guest®, providing Card Members with the choice to redeem at a portfolio of nearly 6,500 participating hotels across 29 brands around the globe. As an added Card Member benefit, beginning in early 2019 all Marriott loyalty program co-brand Card Members will earn 15 Elite Night Credits towards the next level of Elite status, and annually every calendar year thereafter. Limit one 15 Elite Night Credit per Marriott Loyalty Program member. Benefit is not exclusive to Cards offered by American Express. Terms apply. To learn more about the new and refreshed Cards, and applicable Terms and Conditions, visit www.spgpromos.com/amexcomingsoon.